Country Homes & Gardens will be on display at Studios on the Park in Paso Robles through Jan. 31. The artists, Dean Crawford, Deprise Brescia, and Deb Hofstetter will be in the studio on Saturdays in January from 6 to 9 p.m. Visit studiosonthepark.org for more information. She thought she had missed her chance. But then more than a year later, just like that, the phone rang and artist Deprise Brescia picked up. There was an opening for her to share a space with photographers Dean Crawford and Deb Hofstetter at Studios on the Park in Paso Robles. 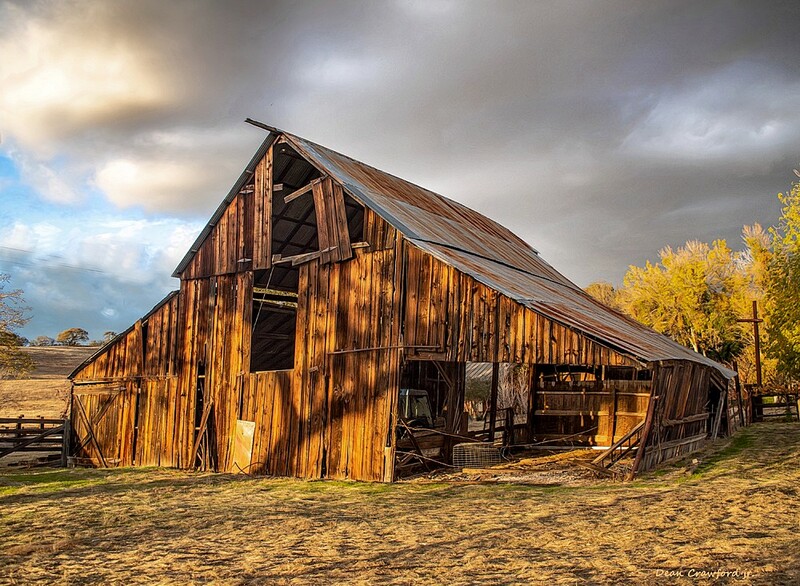 OUT IN THE STICKS Artist Dean Crawford shot the photo The Barn out in a spot called Hog Canyon, just Northeast of Paso Robles. "I've been thinking about becoming a resident artist for some time and then I was just kind of waiting and it was the perfect time," Brescia said. Brescia joined Crawford and Hofstetter in their corner of the studio in the gallery earlier this month with January's Country Homes & Gardens show. 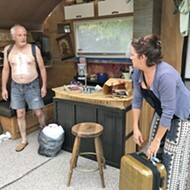 Although she was asked to participate as a resident artist when the studio space opened up about two years ago, Brescia said that at the time she was too busy with her duties as then director of the Paso Robles Art Association. Crawford said he and Hofstetter had known Brescia for several years through the art association and were thrilled to have the multimedia artist share space with their photos, which have often incorporated some element of digital art. IN THE GARDEN The acrylic painting Baby Barn Owl is a departure for artist Deprise Brescia, who usually crafts multimedia pieces. "She [Brescia] brings a whole new different style," Crawford said. "There's not too many people that do the type of art that she does. It's fresh. And our stuff kind of goes with that because we're not typical photographers." The show theme, Country Homes & Gardens, is in line with Crawford and Hofstetter's rustic, Americana style. His photo, The Barn, features a ramshackle, wooden barn on a green patch of grass, basking in a golden glow. It was shot in Hog Canyon, an area that's just northeast of Paso Robles. Crawford used one of his favorite filters in the process of editing The Barn. "The one I use quite a bit is called glow," Crawford said. "What it does is bump up the colors, and then I go back and add some of the details. It takes some time to master the filters because you can easily overdo it." JUST DANCE This gardenscape photo was inspired by photographer Deb Hofstetter's love of dancing while she listens to music standing up. 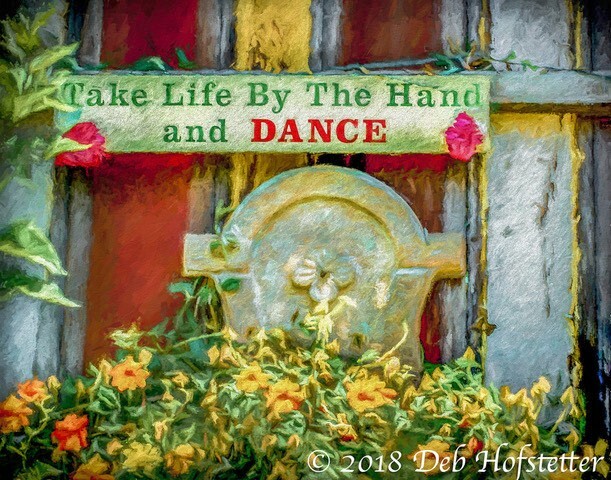 One of Hofstetter's photos, Dance, features a building with a garden and a sign that says, "Take life by the hand and dance." The photo looked almost like an impressionistic painting. "Dance is special to me because I always feel better when I dance," Hofstetter said via email. "I love dancing and normally listen to music while in a standing edit position—from time to time the tune hits me right and I just break into a dance. If we all danced a little more we'd all be happier!" And several of Brescia's pieces, including Baby Barn Owl, are surprising in that that they're purely acrylic paintings. 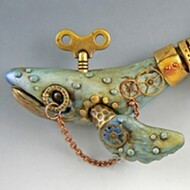 Brescia usually works with encaustic wax, gemstones, photos, and more. But when the weather got cooler, the artist found herself indoors painting. 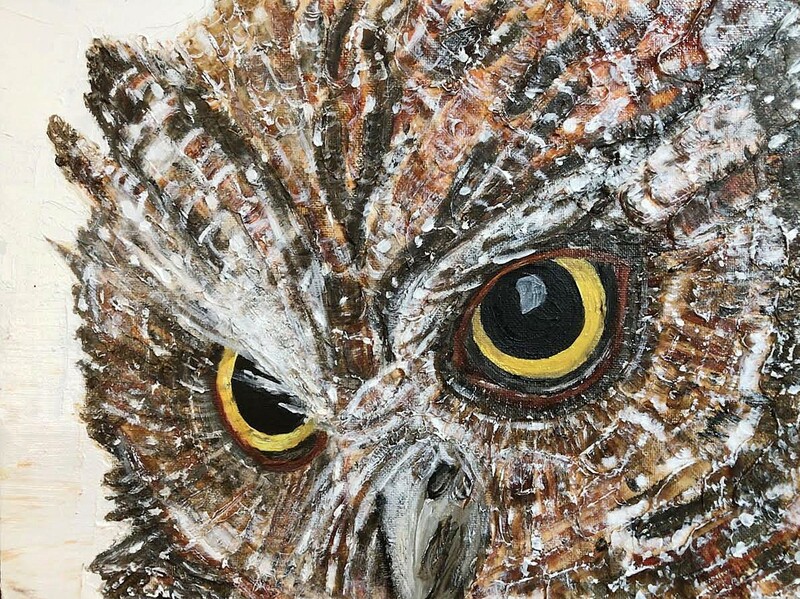 "One of my nieces loves owls so I just started painting them and it felt thematically relevant." 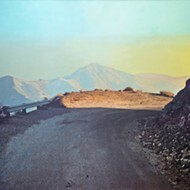 When Brescia paints, she starts with a photo or an image and works from there. "I'll take a photo as a reference and maybe I'll change the expression on their face or the colors," she said. 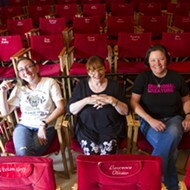 Ultimately Brescia thinks that the work in Country Homes & Gardens, as well as the trio's future shows, will speak to a wider audience. Arts Writer Ryah Cooley prefers a collaborative environment. Contact her at rcooley@newtimesslo.com.